Today I made up my mind to tidy the garden and get all dead stuff out of the way. If I don’t clear the rubbish out it will all start growing from the long shoots and our garden is so small it all needs to be kept under control or we won’t have a garden left to sit in. I tidied up the irises and the pond as the frogs will be coming soon. It’s a bit of a bind doing these jobs on your own as you have to clear up as well as taking it all to the tip. But I was pleased with what I had done and next time I will be able to plant up some polyanthus and get the garden springlike. Your garden is so very pretty. 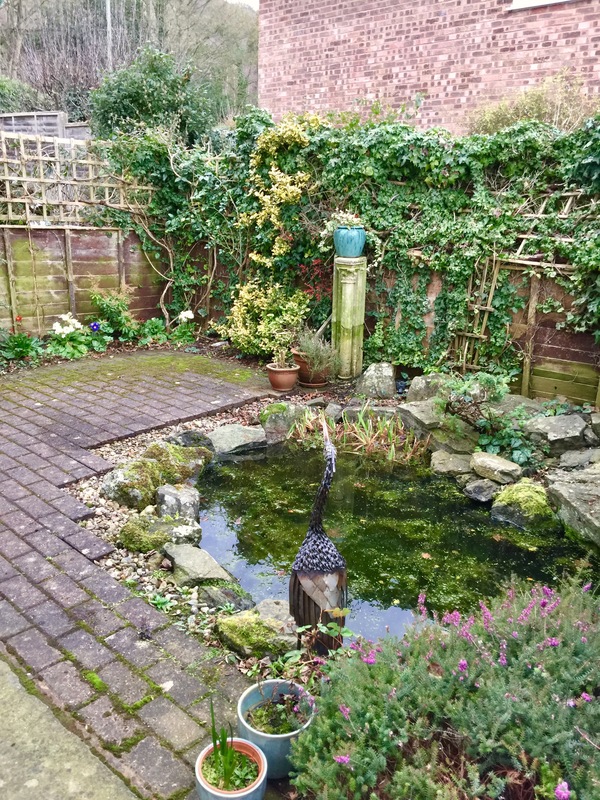 I cleaned my front and back gardens out, but looking at yours, I want to do more!